Materials: 3D printed plastic, hand dyed, rubber tubing, steel rod, silver tubing. “To me, home is spending time in my mother’s garden planting flowers and watching them grow. Gardening is a tradition in my family and is always a topic of conversation in my home. Flowers, plants and process is always discussed between my mother, father and grandmother and spending time in the gardening working hard is always a given. Gardening is a tiring process of hacking and cutting but the results are beautiful and rewarding. My focus is on the gardening tools that aid this process. 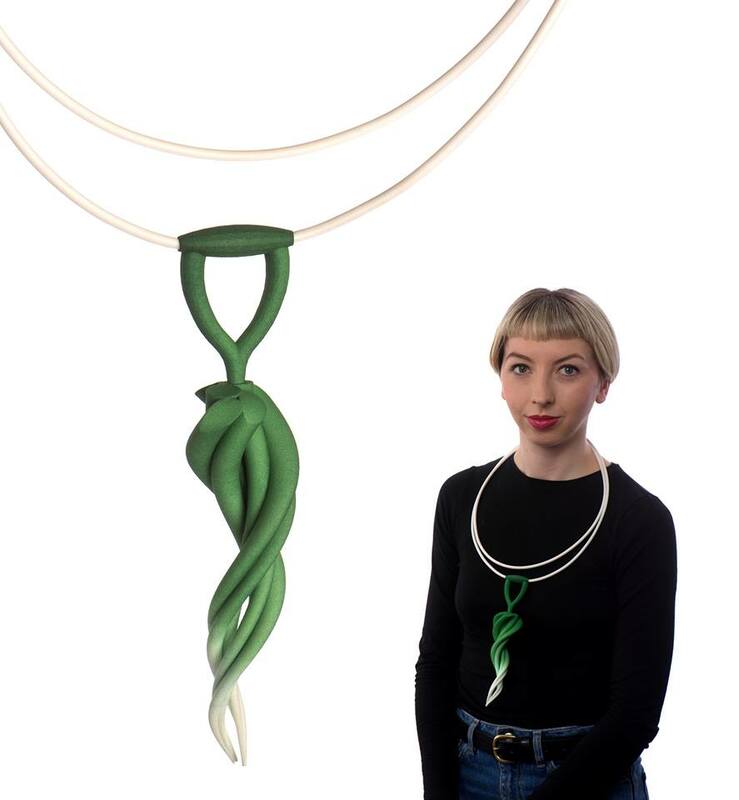 This piece is inspired by a garden dipper and the colour of the spring onions in the garden.